Unless you live in a city with excellent, reliable public transportation, you need a car. It’s a fact of life. It’s also a fact of life that old cars break down, and the cost to get them back on the road just doesn’t always make financial sense. Plus, even if the car is repairable, you may not have the money to throw at it. You still have to pay the rent, pay your bills, and buy groceries. Getting a new car via an auto loan may end up being your only option. However, for many people bad credit will often stifle their attempts to get a loan, leading to a catch-22 scenario. You need the car to make the money, you need the money to pay the bills, and you need to pay your bills to maintain good credit. Without a car, everything falls into disarray. If you know you have bad credit, don’t worry. You can still get an auto loan. It won’t be as easy for you as it would have been if you had good credit, but fear not. It’s doable. You just have to do your homework. Read on to find out everything you need to know about getting an auto loan with bad credit. 1 Are low credit score auto loans from the dealership worth it? 2 What kind of credit score do you need to qualify for an auto loan? 3 What’s keeping your credit score low and preventing you from getting an auto loan? 4 Where should you get an auto loan with bad credit? 5 Should you consider online credit lenders? 6 Is saving up cash for a downpayment worth it? 7 Should you get a cosigner for your auto loan? 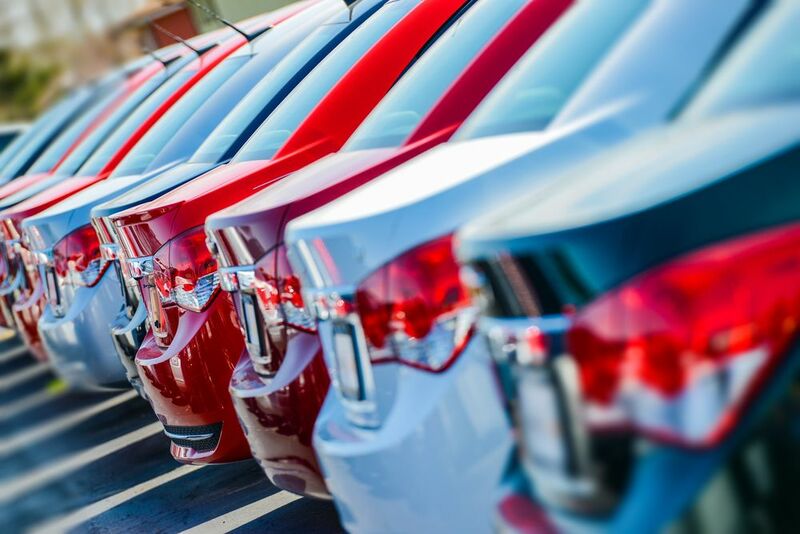 Are low credit score auto loans from the dealership worth it? Let’s address this right off the bat because if you’re hurting for a ride, then you’ve most likely already considered getting a loan with a company that specializes in low credit borrowers. In fact, you might get offered in-house financing from the dealership, who partners with these lenders. The value of going to a low credit auto loan company depends on your situation. They can get you back on the road, but like most things, it comes at a cost. Eventually, the short-term gain will be overshadowed by the long-term pain. As convenient as these companies may be at times, they aren’t exactly philanthropic organizations. Avoid most of them as much as you can. Why? Because even though the monthly payments may be manageable, the interest rates will be astronomical. Looking back, you’ll realize if you had had the cash at the beginning you could have paid for the car many times over if it hadn’t been for the interest. Plus, don’t forget, cars instantly depreciate once you drive them off the lot. Any way you look at it, low credit score auto loan companies aren’t there to help the little guy, they’re there to make a quick buck at his expense. Obviously, you’re always going to have a higher interest rate when you get a loan of any kind with bad credit. However, beware of predatory lenders that have convoluted terms and conditions and always shop around for multiple offers for the sake of comparison. Also, be careful when negotiating at the dealership — remember, it’s their job to use pressure tactics to get more money out of you. What kind of credit score do you need to qualify for an auto loan? You may have missed a few cell phone payments, or been a few days late on paying your credit card, but that doesn’t necessarily mean you have bad credit. Figure out what your score is before you start jumping to conclusions and making decisions that will affect your wallet for years to come. There are many ways to get your score for free online, although the quality and accuracy of may differ from your actual FICO score. But it can give you a general ballpark of where you’re at. In fact, many people assume they have bad credit when they actually don’t. So even though 35% of your credit score comes from your payment history, it’s not the only thing affecting your score. You may be pleasantly surprised when you see that your score isn’t as bad as you thought. So, what score do you need to qualify for an auto loan? Unfortunately, that’s not a straightforward answer, because there are always places you can go. Low credit is anything below the mid 600s, the average is 650-720, and excellent credit is 720-850. Just about anyplace will give you a loan if you have at least a 650 or above. 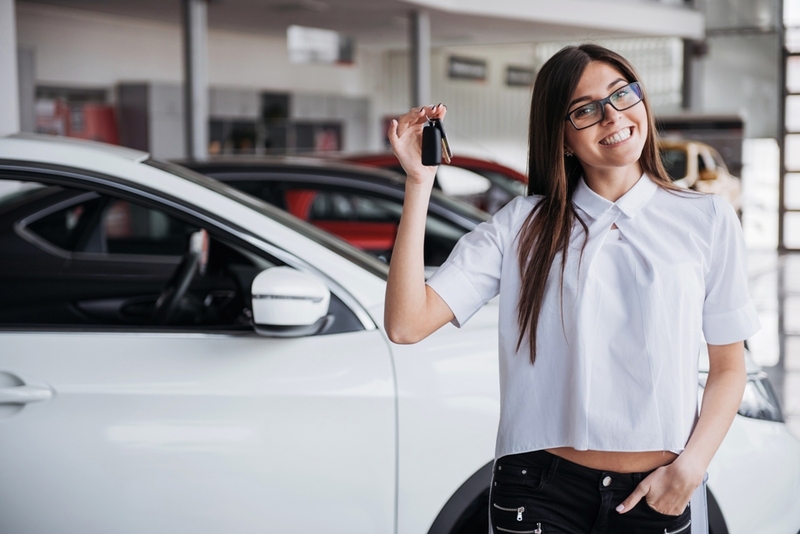 You’ll pay a higher interest rate than you would if you had excellent credit, but everything will be doable if you hold a steady job and choose an appropriate car within your budget. It’s really not until you get below 650 that you start getting rejected. What’s keeping your credit score low and preventing you from getting an auto loan? You need to figure this out before you go shopping around. Get a copy of your credit report. Do this before you apply for an auto loan. If you’re new to the world of credit, know that a credit report is different from a credit score. Your score is the number, and your report is a summary of your financial history (your score actually doesn’t even appear anywhere on the report). All of your debts appear on the report, plus lines of credit and any reported missed payments. Take your time verifying the information by comparing your credit card statements and loan balances to what’s listed on your credit report. It takes time, but you need to verify that the information on the report is factually accurate. Research shows that at least 20% of people may have incorrect information on their reports. If and when you do find an item on your report that is inaccurate, you can and should dispute it. Don’t waste your time calling the credit bureau; instead, write them a letter using snail mail, and include copies of any documents that support your claim. Use a sample letter to make it as easy as possible for them to understand your position. They have thirty days to investigate the items you’re challenging. If the credit bureau doesn’t respond within that time, they must remove the disputed items. Moreover, if they find that the item you’re disputing is, indeed, inaccurate, they must update your credit report. Where should you get an auto loan with bad credit? One place that many people tend to overlook when shopping around for a car loan is their existing local bank or credit union. Why are these better than going through lending institutions offered by dealers or large banks? First, if you have a good relationship and history with a local financial institution it should be the first place you look when you shop around because they’ll be more apt to give you a loan. Don’t be shy and think about all of the times you overdrew from your account. Most people do from time to time, and your bank or credit union will probably overlook it faster than you. Second, local institutions know you have a steady job. When applying for a loan one of the most important things to a lender is the knowledge that you have the ability to pay your debt. Lastly, if you’ve been able to save and keep a few bucks in a savings account, they’ll know you know how to manage money. Even if you’re not already a member of a credit union, take a look at ones you might qualify for. Many are open to anyone living in a specific area or those who make a one-time donation to a select charity. Credit unions are known for impressive auto loan rates and if you can open an account with a small deposit, you can improve your chances for getting a car loan. Should you consider online credit lenders? Getting an auto loan online is a viable option if your credit score is low. Oftentimes they can offer better rates than lending institutions through car dealerships or even your bank or credit union because they don’t have physical branches to oversee. Everything is done online. Many online credit lenders even specifically target low credit score consumers. Again, the interest rates will be a tad high, but they won’t be as high as anything you’d get through a car dealership. Shop for loans within a one-month window to avoid multiple inquiries hurting your credit score. That gives you the flexibility to compare your offers without further damaging your scores. Most online lenders allow near-instant approval so you know what kind of offer you’d qualify for. Is saving up cash for a downpayment worth it? If you can get by for a little bit without getting a new car, saving up cash for a down payment can dramatically help you get a better auto loan. Even better is If you can beef up your savings account and put 20% down because your interest rates and monthly payments will be dramatically lower. Having more cash invested in your car will also prevent you from going upside down on your loan should you get in an accident early into your loan term. Remember that car values tank as soon as you drive the car out of the dealership. Furthermore, if you want to sell it later, you won’t owe more than it’s worth if you’ve already paid off a large chunk. Generally speaking, if you can show you have cash in the bank, a lot of lenders will be more apt to give you a loan. They will also offer you better rates. So beef up your savings account and put down a large down payment, and you should be golden. Lenders like to see you have skin in the game, and that you have a reserve should you lose your job or be unable to work. Should you get a cosigner for your auto loan? Getting a cosigner for your auto loan should be considered a last resort. When you get a cosigned loan, the person who serves as your cosigner agrees to make payments on your behalf if you fail to do so. It helps you to qualify for a better loan rate if they have a better credit score or help you meet the lender’s income requirements. However, both credit scores are affected whenever a cosign takes place. It can be a good thing for both of you if you’re positive you’ll be able to make all of the payments, but it can lead to bad blood if you can’t. Cosigning should really only be done as a last resort because the only credit you should ever worry about is your own. Family and money should almost always be kept separate. A car is definitely not worth more than a relationship. How you go about getting an auto loan depends on how soon you need to get on the road. Are you young and just want a nice ride? Then, you should probably wait and build up your credit. First cars are rarely the prettiest things on the road, but they’ll always be remembered. Don’t worry so much about how a car looks. Dependability is what you’re after. For this, Craigslist is a great place to go for your first car. With only a couple thousand bucks, you can have a lot of options. And the best part is you won’t have to make monthly payments. If you need to get back on the road so you can work and feed your family, then your options are limited. Time isn’t on your side. Hopefully, you recognized you needed a new car well before anything happened to your last car. Try your best to save up cash in advance! If you’re already living paycheck to paycheck and saving isn’t an option, get pre-approved through your bank or credit union before taking on a loan from an auto dealer. Auto dealer lending institutions are your utmost last resort. Just as cosigning should be avoided at all costs, dealer-lenders shouldn’t even be considered an option until all else has failed. If you have to, it’s not the end of the world. After all, if you make your payments on time, then you’re getting a car and a steady improvement to your credit score, you’ll just be paying more. How Does a Car Loan Affect Your Credit Score?